Chris Cohen speaks in soft, controlled spurts. He's refreshingly modest as he weaves his thoughts into calculated coherence. It's almost funny to imagine someone so meek playing in a boisterous, unhinged band like Deerhoof. But for a good chunk of the mid-2000s, Cohen was their guitarist and bassist. In fact, Cohen has played in several noteworthy indie bands. He was a touring member with Ariel Pink's Haunted Graffiti, White Magic and Cass McCombs. He was also in Natural Dreamers, Cryptacize and the Curtains. Cohen plays with his eponymous new band on Monday, December 12, at ArtsRiot in Burlington. Fun fact: Cohen once lived in southern Vermont. In the years leading up to the release of his first solo album, Overgrown Path, he called Shaftsbury home. 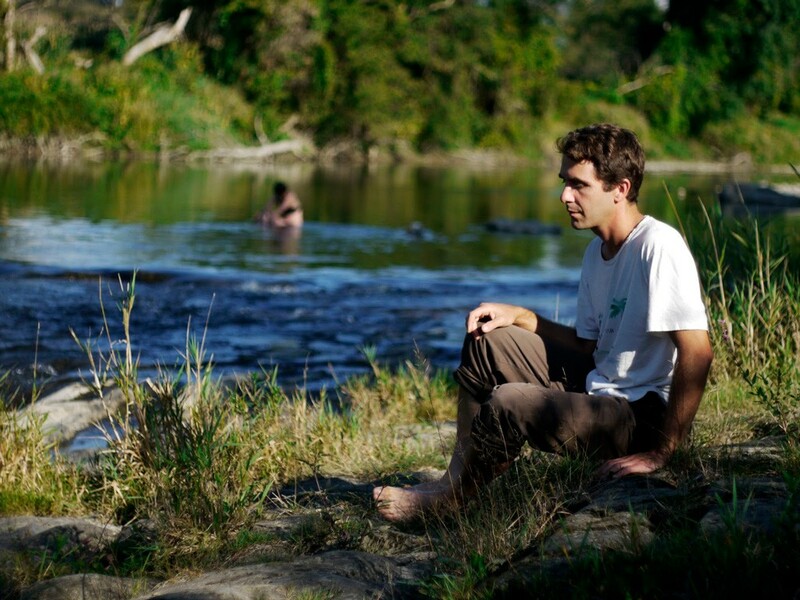 While his partner taught at Bennington College, Cohen toiled in his home studio, recording tracks that would become Overgrown Path, as well as toiling in the fields of Clear Brook Farm. Famous Vermont photographer "Snowflake" Bentley inspired the art for that album, though that's the extent of the Vermont influence. Cohen didn't find much time to participate in Vermont's music scene, though he did become friends with Zach Phillips of Blanche Blanche Blanche, a band formerly based in Brattleboro. Cohen tapped Phillips as lyricist for two tracks on his most recent album, As If Apart. 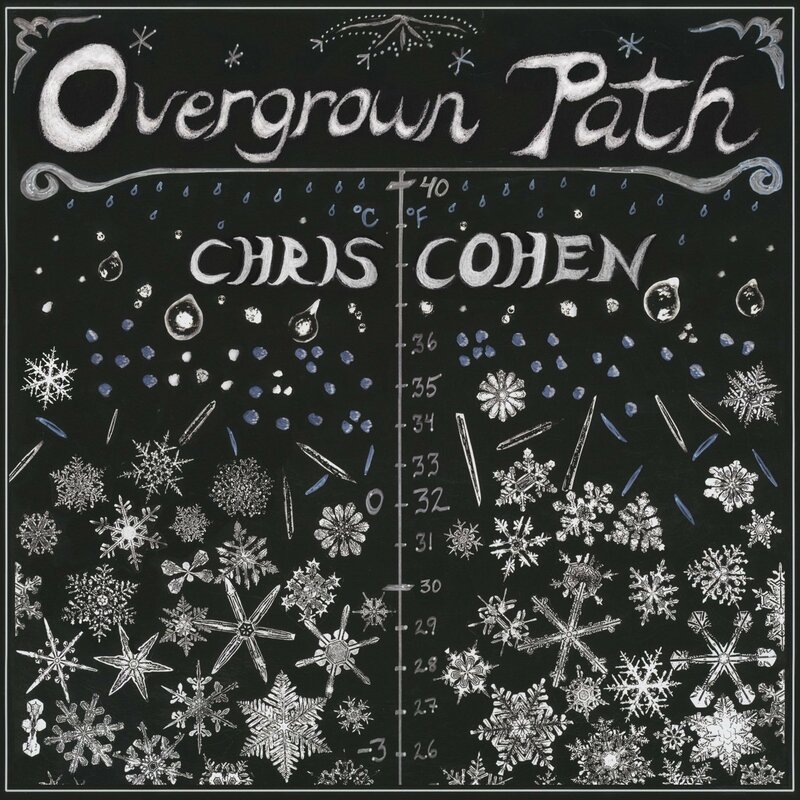 Cohen's brand of indie pop is often described as psychedelic, though he doesn't necessarily agree. It has the breeziness of the Zombies and the Byrds but also the heft and melancholia of modern acts such as Kings of Convenience and Broadcast. Cohen plays every instrument heard on his albums and records everything by himself at home or in his friend's garage. Seven Days caught up with Cohen by phone while he and his band had a day off from touring in Ann Arbor, Mich. SEVEN DAYS: After living in California for your entire life, what about living in Vermont affected you the most? 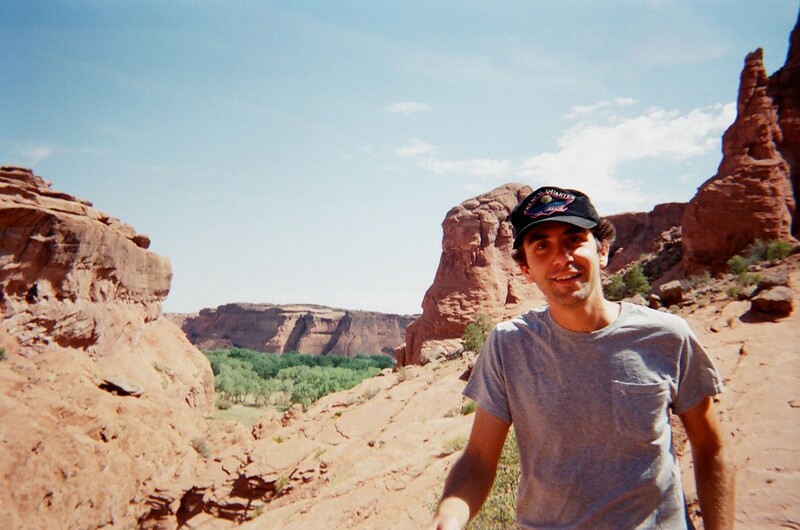 CHRIS COHEN: I found that there was a really different culture. I would sometimes be walking down the street, and I'm used to saying, "Hey, how's it going?" I like to make contact with people. What I found is that people don't do that in Vermont. They would look away and not say anything back. That really took me by surprise. Once I thought about it, it makes perfect sense. There are families that have been there for nine or 10 generations. It's understandable why [they] might be wary of new people. [Also,] there's a lot of traffic through Vermont. Maybe there's a sense of, "Oh, if I get to know you, you're just going to leave anyway." It was a nice experience to learn to adapt myself to a different way of socializing with people. SD: Tell me a little bit about common threads between Overgrown Path and As If Apart. CC: The process that I used to make the music [for Overgrown Path] was something that I was still interested in and still had some things to work out. I just wanted to make another record by myself, using Pro Tools and having this kind of long-term, no-deadline type of schedule. SD: Is that process different from recording your other projects? CC: The last Curtains album was recorded exactly the same way. It was just me, overdubbing by myself. When I was looking for labels [for Overgrown Path], I was calling it [an album by] the Curtains. This is kind of my default way of making music. Before computers, it was four-track. When I was a teenager, that was how I liked to spend my time — alone with my four-track. I learned to create my own little private world of music. SD: What about when you were in Deerhoof? CC: The way that we did our writing credits was, everyone had one-quarter credit for every song. [But] I don't know that I wrote 25 percent of the music. We developed the songs together and developed them in the collective manner. When I look back on it, that was really cool, because the majority of the songs were written by Greg [Saunier] and Satomi [Matsuzaki]. SD: "Needle and Thread," from Overgrown Path, was originally conceived as a one-chord song. But it didn't end up that way. CC: Yeah, I ended up sticking a bridge in there. SD: Are there any other fancy concepts you've wanted to try? CC: One thing I haven't done that I'd really like to do is write music where you can only hear one sound at a time, from second to second, like you're just flipping through the dial of a radio. I made this thing when I was in college, like a switcher box. I had gotten this potentiometer that had 20 different terminals, so you could wire up 20 different inputs, and you could switch between them. I made this little switch that I put in a can, and it had a little knob you could turn. At the time I thought it would be something like that. SD: I also understand you're interested in AI songwriting. CC: I would be interested in something that would generate material that I could choose from but also interact with. I kind of think that [my] songwriting is already like that. I don't really want to take ownership of [my songs]. The ideas I get, they're kind of just little fragments that I'm regurgitating. And then it's choosing from them and organizing them. SD: What about song lyrics? CC: It depends. I'm kind of a music-first person, or sounds-first. The meaning of the words ... it's not like I don't care about it, but to me it doesn't have to be there. I feel like melodies and rhythms strongly dictate how much room you have for certain types of sounds. Or what's comfortable to sing. I'm looking for words that are generated by music. When you're writing vocal melodies, you kind of already have a sense of what the words are going to sound like. SD: Your music videos have a nice intimacy to them. CC: Thanks. The one thing I knew I didn't want to do was make a really high-budget HD video. My album was really cheap to make, and I thought it would be weird to spend a ton of money on my videos that I wouldn't have spent on my record. I wanted to make stuff that was in my means. SD: When you were in Deerhoof, the band created a score for the 1957 avant-garde film Heaven and Earth Magic. Are there any other pieces of media you'd like to tackle? CC: I've never done that [on my own]. The Deerhoof thing, John Dieterich wrote all of that music. It was a great experience doing that. I'm mostly interested in doing vocal music right now. What I would love to do is work with a director and write original music for a film — if it was the right director and the right film. The original print version of this article was headlined "Independent Study"